This weekend, watch some of the world’s best skaters and BMX riders cruise down Broadway—for free—with tricks that devastate the laws of physics. Expansive, well-designed skate parks in Tigard, Vancouver, and the world-famous DIY park built by skaters under the Burnside Bridge in 1990 are favorites of BMX rider Drew Bezanson. But this weekend, when Bezanson returns to the Rose City, he’ll be riding straight down SW Broadway. The Dew Tour stops in Portland during its 10th anniversary, bringing with it Bezanson and a host of world-class BMX riders and skaters. Competing for Team Toyota, Bezanson will take on seasoned street riders Garrett Reynolds and Chad Kerley. In 2007, Reynolds won gold medals at X Games Brazil, X Games Mexico, and X Games Dubai. More recently, he landed a Dew Tour Streetstyle win in 2012 and back-to-back BMX Street wins at Dew Tour in 2012 and 2013. Meanwhile, Kerley, one of the most technical riders in the field, is the defending streetstyle champ. In both the dirt and streetstyle competitions, Bezanson hopes to add strong finishes to an already promising season. This year, he says, “I’ve been on the podium more than not” (he claimed his first X-Games silver medal in August). Bezanson isn't willing to share what tricks he'll be doing in Portland, but for a taste of the action, check out past highlights from Bezanson and his fellow riders and skaters. Bezanson breaks down his signature trick, the truckdriver. 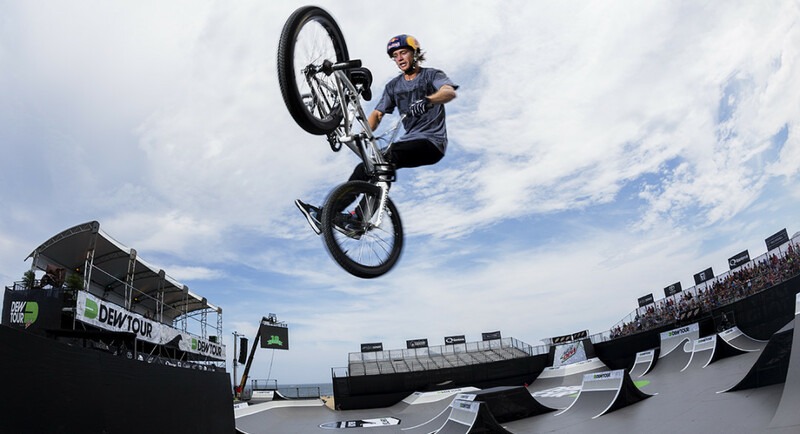 Reynolds wins gold at the 2013 X Games in Barcelona. Kerley cruising the streets and breaking the laws of physics. In San Francisco, Ryan Sheckler takes the skate streetstyle title on Dew Tour’s final day.